Champion Sports Performance works with teams that are aiming to accelerate their success on the playing field. With in-season, off-season, an year-round training programs available, teams can work together to develop into a team of champions as they become a champion team. 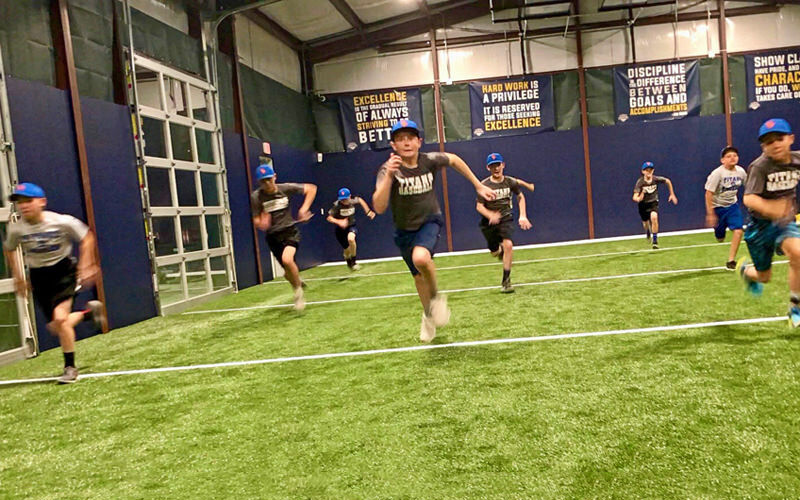 By working with Champion Sports Performance as a team in a structured speed, agility, and conditioning program, the athletes in your organization motivate each other to improve while strengthening their team bond and camaraderie. Most teams think that having their athletes “do some sprints” as part of their regular practices is enough. If you want to be better than “most teams”, you have to train smarter than most teams. By incorporating dedicated speed, agility and conditioning training for your team under the instruction of a speed and agility coach, you can be sure that they develop and improve those skills without sacrificing practice time dedicated to skills training. Since our philosophy is centered around long-term athlete development, we work with teams across a wide range of ages and skill levels to develop appropriate training frequency, duration, and planning. Contact us today so we can discuss the best plan for your team. Ready to put your team on the path to improved speed, strength, and agility? Reach out through our Contact page and we can discuss the details of how we can help your team.